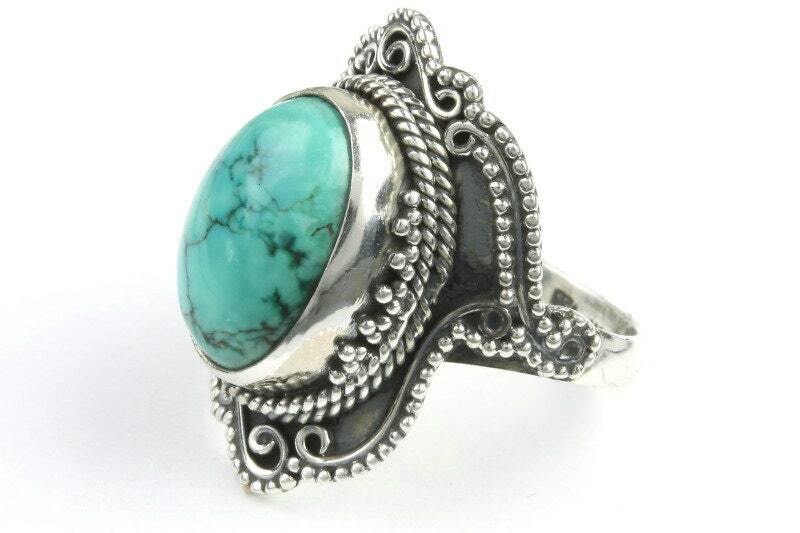 Intricately detailed eastern design sterling silver ring with Turquoise center stone. 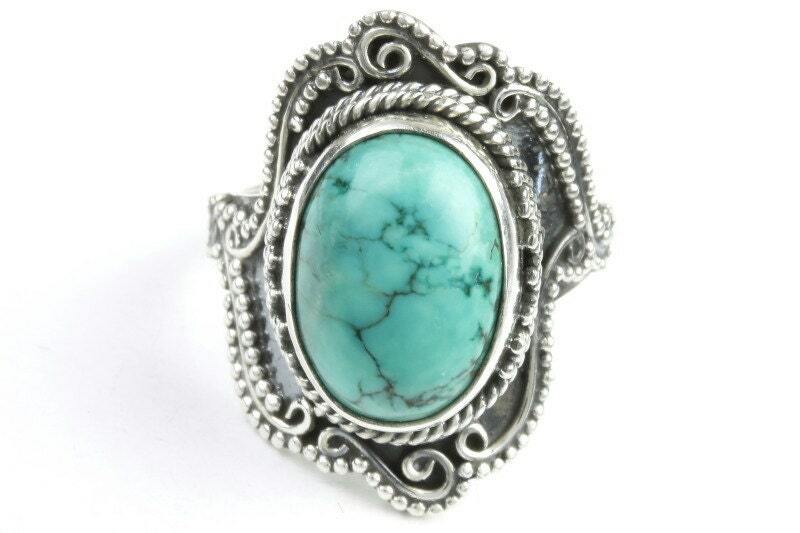 Lovely patina finish accentuates the ornate detail, giving the ring a beautiful vintage appearance. Beautiful ring, stone is great quality and excellent customer servie!